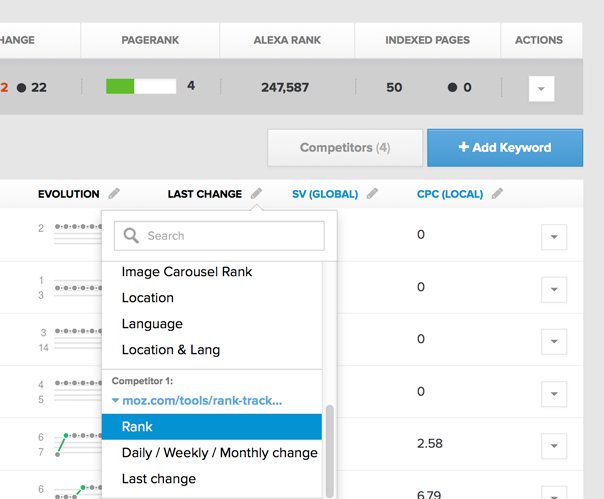 RankTrackr provides an ability to set up your competitors to easily monitor their search rankings and compare them with yours. Adding competitors to your websites or URLs will not affect the total number of tracked keywords. Day / Week / Month change. Make sure that you wait for 1 day before you try to access the competitors data (as RankTrackr will need to do another crawl to start tracking competitors).